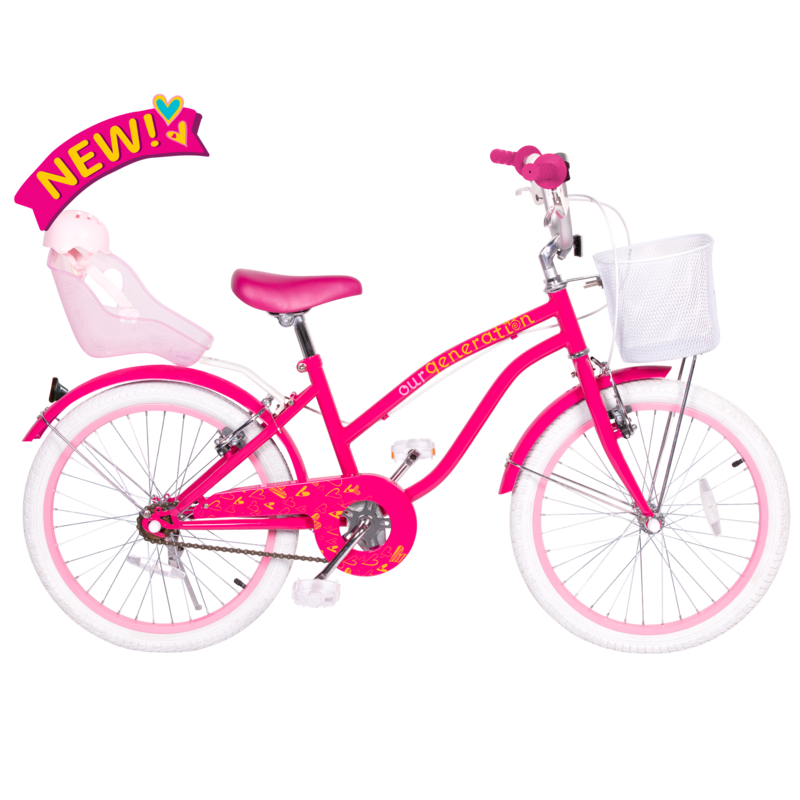 Have lots of charming fun with this 18-inch retro doll! Let’s have some good old fashioned fun! 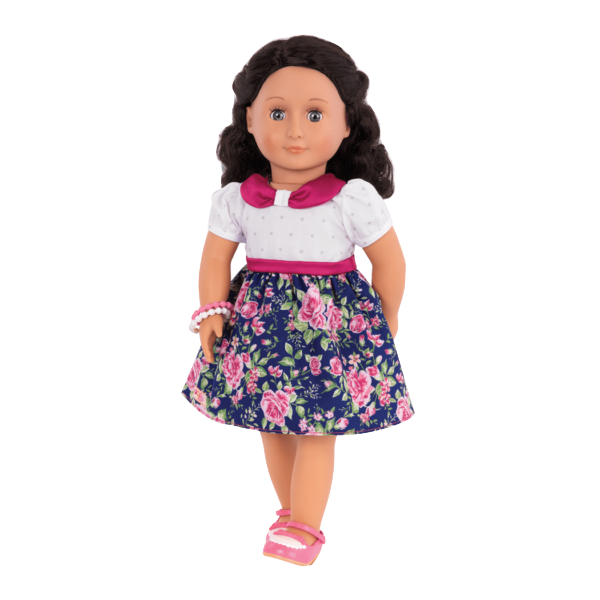 Life is rosy and sweet with Our Generation Retro Doll – Margaret! This beautiful 18-inch doll is part of the Our Generation Retro Collection and has all kinds of delightful vintage charm. Dressing spiffy sure is nifty! Margaret has deep blue eyes and lovely shoulder-length black, curly hair. Have fun brushing and styling Margaret’s hair in lots of great vintage styles! She wears a retro dress with a polka-dot bodice, pink satin-finish bow collar and waistband, and full floral skirt decorated in a rose pattern on blue background. Margaret keeps her outfit looking put together and coordinated with matching bracelets and pink and white shoes with ankle straps. She’s ready to for a tea party, a sock hop, or just a stroll around the block! Making friends with a retro doll like Margaret really is swell! Margaret enjoys keeping in touch with all of her friends! 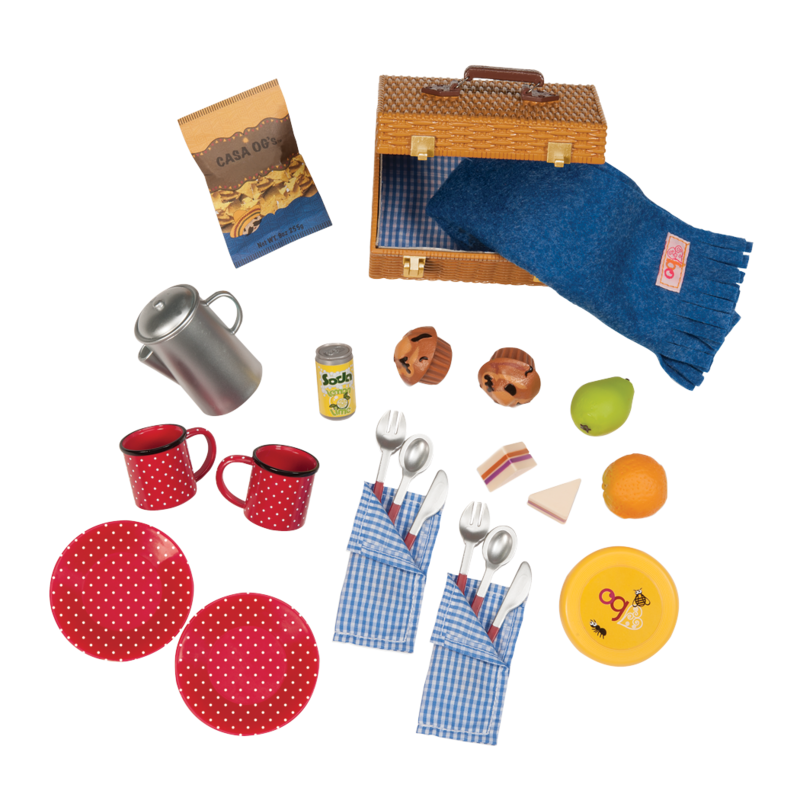 Set her up with the Chit Chat Set so she can call her friends on the retro rotary phone, and the Take a Letter set with a typewriter she can use to write letters to her pen pals and family wherever they may live! Margaret loves to dress in the prettiest fashions. Check out the entire collection of Our Generation Outfits for lots of retro fashion inspiration! Margaret arrives with her curly hair pulled back in two ponytails, but you can style her hair however you like! For dolls like Margaret with curly hair, we recommend using a wide-tooth, flexible comb and always working with very small sections at a time. 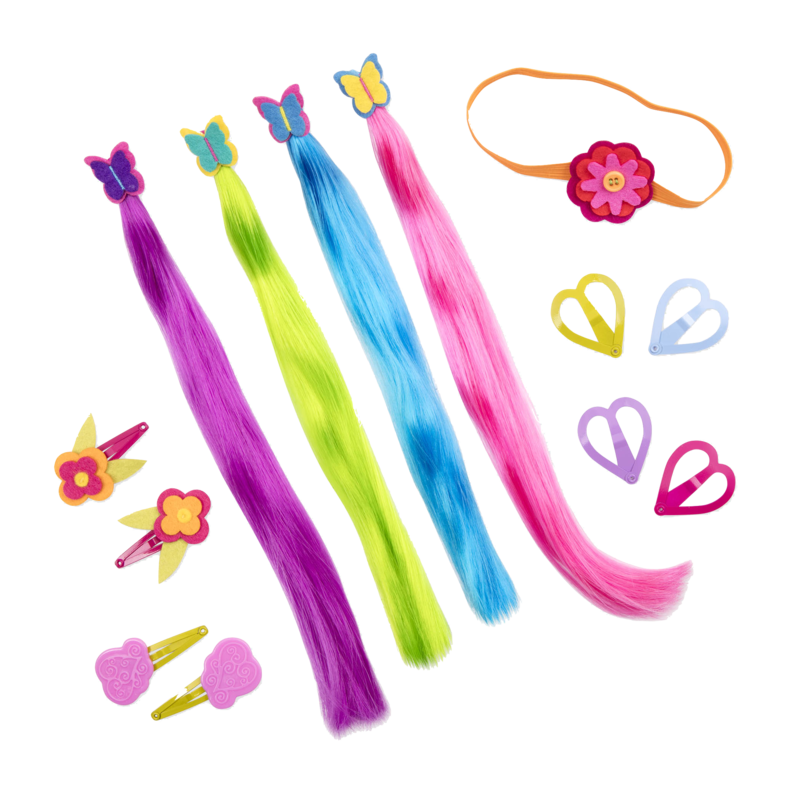 Margret is a beautiful doll and is very stylish I really like her, I have Ginger, Sydney Lee, Anya, Alexa and Aura I love to play with them a lot and I love to try new and wonderful hair styles and I’m going to buy the school set! I love our Generation! What a beautiful doll! She had a gorgeous dress, and her hair is very silky, and easy to brush. I collect OG dolls and their accessories. She and syndey Lee are tied for the best dolls! I also have Rose, Joy, and Ginger! Syndey Lee and Margaret are my favorites!! I think that Margaret is one of the most prettiest dolls I have ever seen!